I am not sure that every Ricardian will have survived watching the first two series of BBC2’s “The Tudors”, as first mentioned here, with its historical anachronisms, miscasting in some roles, confused chronology and obsession with bedroom scenes. Nevertheless, the third series is showing signs of improvement, particularly with its focus on the Pole family. Last Friday, a plot involving the various Poles resulted in three of them being arrested in 1538. It is easy to blame Tudor paranoia for Plantagenets being persecuted during the reigns of the Henries but Hazel Pierce (Lady Salisbury’s biographer) concedes that there probably was a plot on this occasion. So who was involved? Margaret Pole, Countess of Salisbury (and niece of Richard III): shown being arrested – finally beheaded, messily, in May 1541 after Sir John Neville’s revolt. Henry Pole, Baron Montagu: her eldest son, also shown being arrested – beheaded in the winter of 1538/9. Reginald Pole, a Deacon (or sub-Deacon) and Cardinal: in exile on the Continent, seems to have conceived the idea of sending a foreign army to dethrone Henry – survived to become a priest and then an Archbishop under Mary. Sir Geoffrey Pole: her other surviving son, arrested but not portrayed in the series. His servants were threatened with torture and he gave evidence against the other conspirators. Released and survived for twenty years. Henry Courtenay, Marquis of Exeter: grandson of Edward IV and arrested but not portrayed and executed with Montagu. Henry Pole the Younger: son of Montagu, the boy shown being arrested – last seen in the Tower in 1542, aged between 15 and 21. Thomas Courtenay (became Earl of Devon): son of Exeter and arrested with his father but not portrayed. Unlike the Younger Pole, he was released during Mary’s reign and contemplated marrying either her or Princess Elizabeth. Went into exile and died in 1556/7. Henry Pole the Younger should be of interest to all Ricardians. We are often asked: “If the bodies found in the Tower in 1672 are not Edward IV’s sons, who are they?” Although defence counsel are never obliged to name an alternative culprit, of course, IF the bones are human, male, youthful and late Medieval to early Renaissance, some of them could well be his remains. 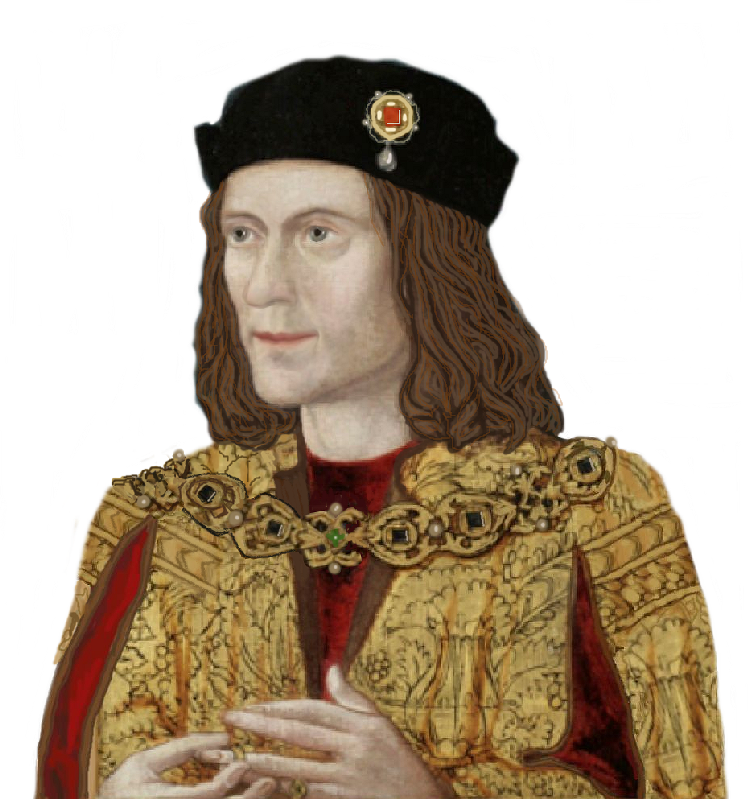 As a Clarence great-grandson, his nuclear DNA (if it could ever be of use) would be similar to that of Edward of Westminster and Richard of Shrewsbury. That he was not executed with his father and Exeter would tend to suggest that his age would be towards the bottom of the range given above. Did either Lionel ap Edmund or Henry Pole credibly emerge eight years later, with the support of the King of Scotland, the Emperor and thousands of supporters, I wonder?